I am so honored that I was asked by Stacy Tenney Maple from our local Bistro 163, which is a pay it forward restaurant, to hang my art. The Bistro showcases art that has a local theme. Port Clinton and Catawba Island sets on the WN shore of Lake Erie and we have the most amazing subsets. 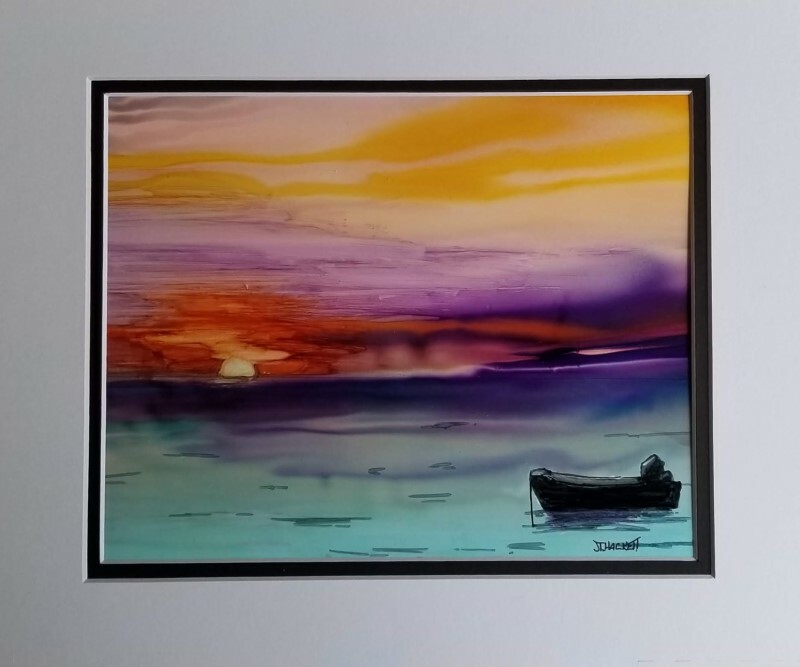 I set a goal to create at series of Alcohol Ink painting at least one per month, I gave a shout out to neighbors and friends asking to use their sunset photos for references. 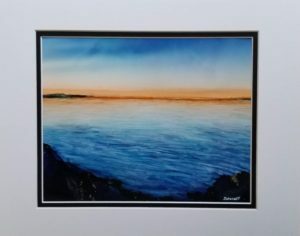 They graciously shared photos and as of now I have six AI paintings matted, framed and hanging at the Bistro. As I complete the other six they will also be showcased. Thank you from the bottom of my heart Stacy and my neighbors! 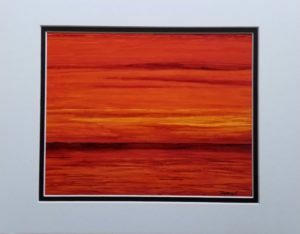 For more information check out The Fine Art Cafe of Facebook. 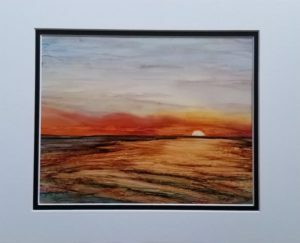 Alcohol ink painting on Yupo paper. Reference Photo by Chad Copsey of a Sunset from Ottawa County. 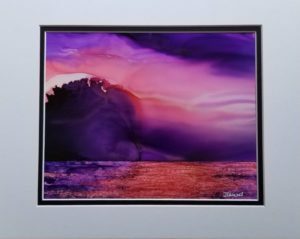 Alcohol ink painting on Yupo paper. Reference Photo by Jennifer Nickel of a Sunset from Ottawa County. 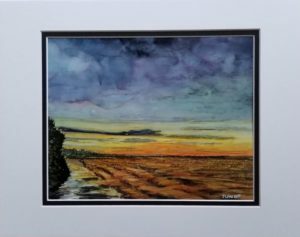 Alcohol ink painting on Yupo paper. Reference Photo by Seth Rakestraw of a Sunset from Ottawa County.